I read this article and found it very interesting, thought it might be something for you. The article is called Animal Migrations Video and is located at https://www.naturefootage.com/stock-video/animal-migrations-video. Every year, millions of animals migrate across the globe – some traveling across entire continents during their seasonal migration. NatureFootage presents the new Migration Collection – with a focus on the pods, flocks, herds and more. Spend time in the air flying with a flock of majestic swans. Swim with whales as a mother warily escorts her new calf on the long journey north to the summer feeding waters. 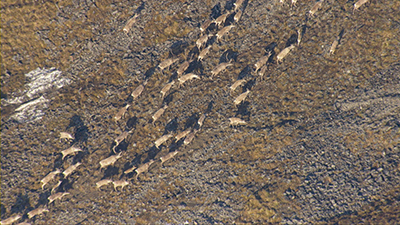 View the Caribou from a dramatic aerial perspective as they migrate across the vast Alaskan tundra. The Migration Collection, sourced in HD, is an inspiring and spectacular sight into the seasonal travel of wildlife.